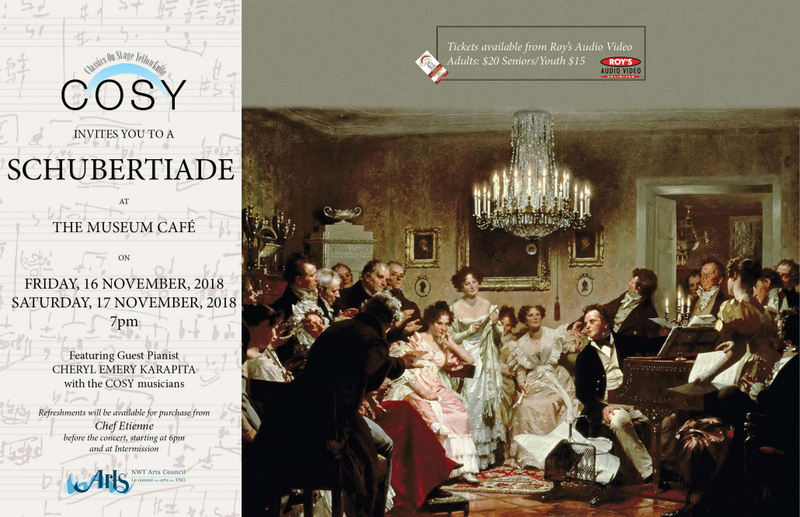 A concert of some of Franz Schubert’s most popular songs featuring your favourite COSY singers, Susan Shantora & Claire Singer and others, in collaboration with guest, renowned Canadian pianist, Cheryl Emery Karapita. Tickets ($20 Seniors/Youth $15) are available from Roy’s Audio Video and at the door on the evening of the concert, starting at 5:30pm. Refreshments will be available for purchase from chef Etienne before the concert, starting at 6pm and at Intermission.